Djirra’s Aboriginal Family Violence Legal Service has exciting opportunities in Bendigo, Echuca and Morwell for dedicated Paralegal Support Workers. Provide high quality legal advice, court advocacy, casework, assistance and referral to Aboriginal victims of family violence and/or sexual assault in the areas of Family Violence Intervention Orders, Child Protection and Family Law. Develop relationships with a range of stakeholders including: Aboriginal Cooperatives; Aboriginal Health Services; Family and Children’s Services and health, housing, alcohol, drugs and counselling services. Daily mentoring and development of paralegal support workers. Support and assist Djirra’s Early Intervention and Prevention programs. 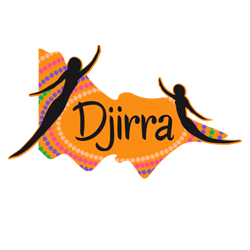 Djirra supports Aboriginal women’s journey to safety and well-being, and provides practical support and legal advice to Aboriginal people experiencing family violence. Please quote in application: Lawyers/Senior Lawyers for Morwell, Ballarat & Echuca via Pro Bono Australia.